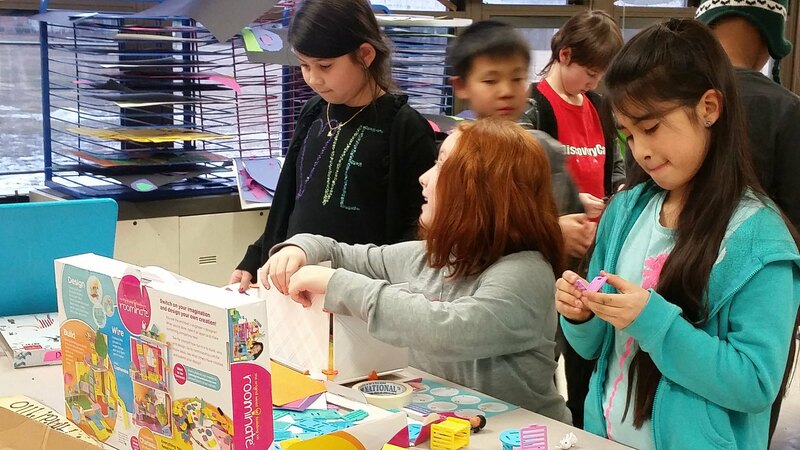 Another successful week of Michigan Makers! New today were our always popular Dash robots, a design and prototyping game called Design Studio, as well as Roominate, a building set which also lets you set up lights and motors to control different aspects of your creation. We also brought some new Snap Circuits kits since that was such a popular activity last week. 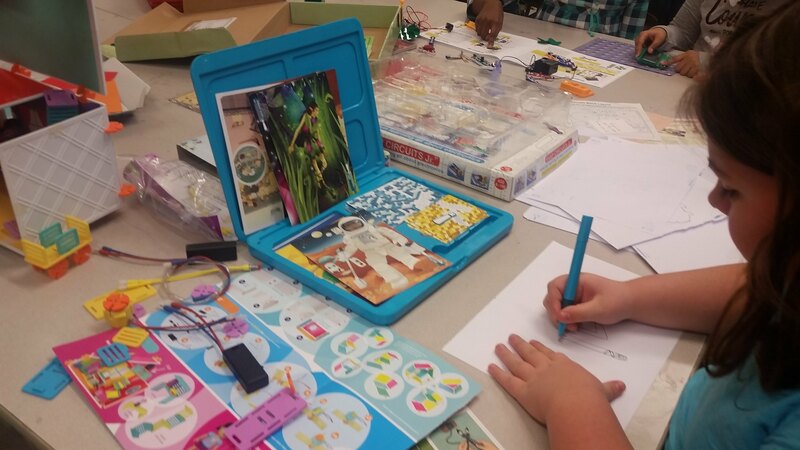 The junk box, Lego, Kinex, and Tinker Toys made a reappearance to round out today’s menu. And this week, we had two more family members volunteer, which made a huge difference for Kristin and me! 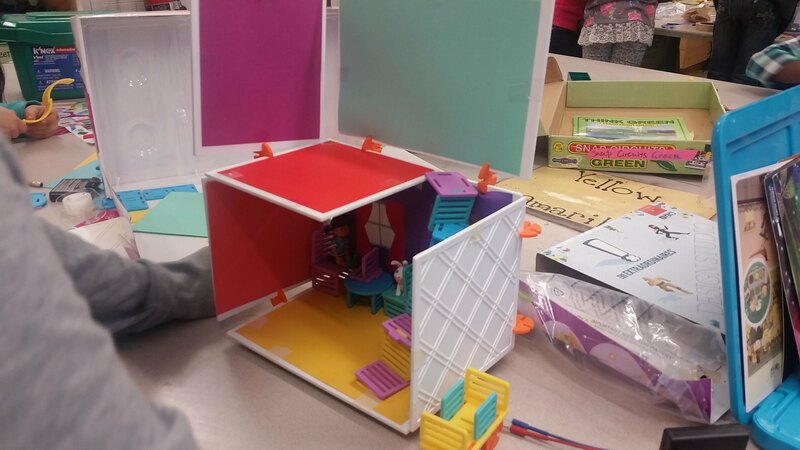 A few girls were the first to explore using our Roominate kit and were able to create a two-story house which they were working on furnishing and decorating, as well as exploring using some of the electronic components. 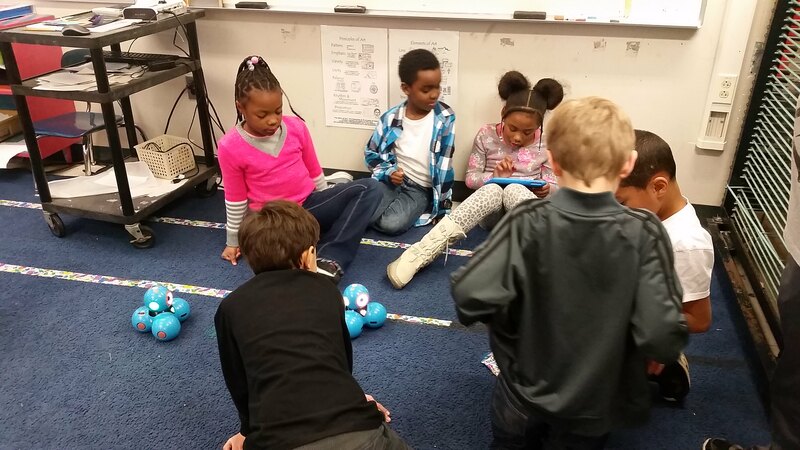 As usual, we had a flurry of interest in Dash and were glad that the kids were able to negotiate turns with each other so everyone who wanted to experience the robots today was able to have a chance. 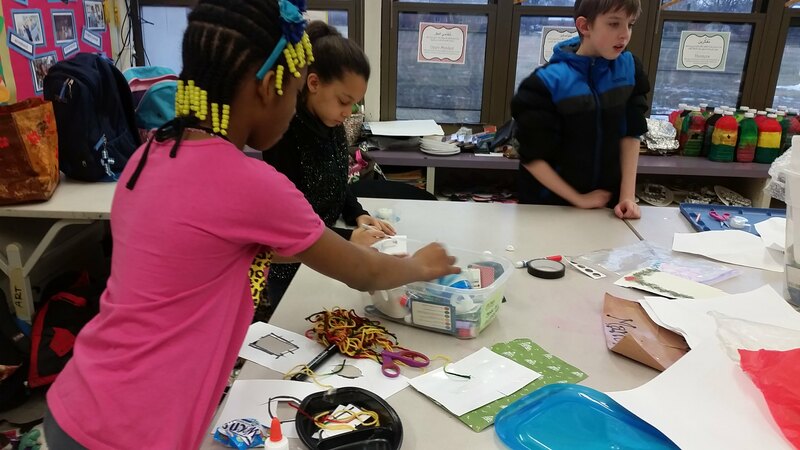 Snap Circuits was a success again this week, with two girls creating a project that let them recharge a battery by winding a crank and regulating the voltage output. The best part (for Kristin and I) was how well the kids cleaned up – they even cleaned up early, without being asked! We suspect this may be due to the positive influence of our excellent volunteers. Keep tuned for future weeks – the 3D printer might even make an appearance at Mitchell one of these days!